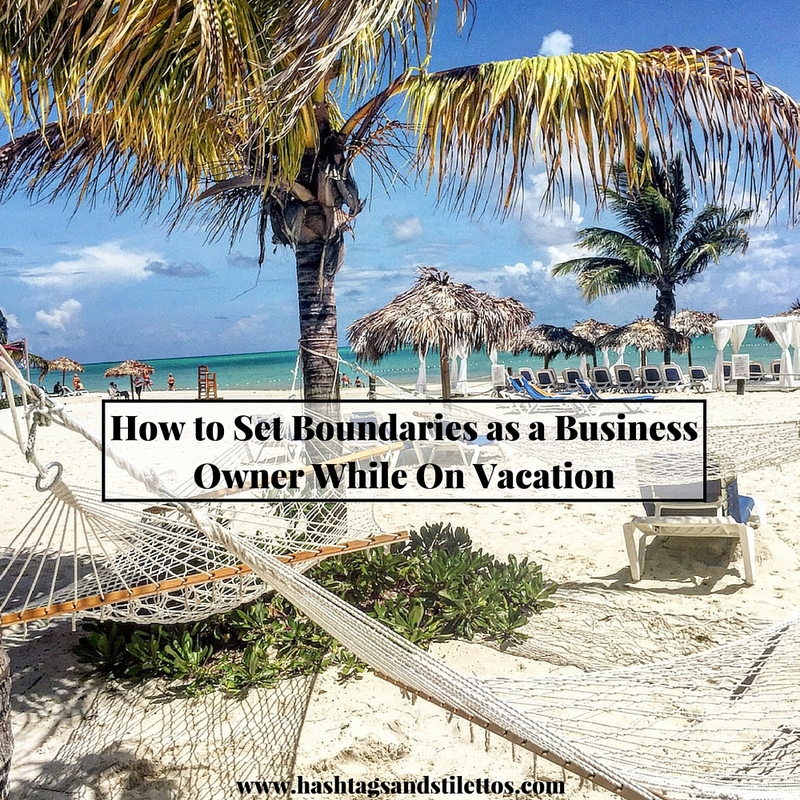 Taking a vacation while running a business is easier when you set clear expectations and boundaries ahead of time or as they arise. Today is the last day of my mini vacation and this trip marked the first time in my four years of being an entrepreneur that I truly felt comfortable putting up an out of office message. However, I quickly learned that even that wasn’t enough to deter people from sending multiple emails (after seeing the OOO message) and sending personal follow-up text messages asking about those same non-emergency emails. Which got me thinking. What are some different ways that I could be clearer about my availability and accessibility for future trips. In the early days of my business, I was notorious for sending or responding to emails at all hours of the day and night, which sent the signal that I was also available at that time. Friends and business associates would respond in-kind by calling, texting or sending courier pigeons whenever they felt like it (while expecting a response), even if it was 3:28am. I had inadvertently set an expectation that I was always on. Our work as entrepreneurs already spills over into our personal life, so whenever possible, we have to identify and correct behavior that can lead to unhealthy routines and expectations. Over the last year or so, I’ve been doing just that. Instead of sending late-night emails, I draft them and send them in the morning or during normal business hours. I stopped scheduling business calls past 6:30pm unless it’s an important business dinner and if friends call in the middle of the night (or during the work day), I let them know that I am unavailable and will call them at a later time. I will respond to your note when I return. When I wrote it, I wanted to be direct and concise, but maybe I could have gone a step further. I could have included the dates of my trip, which would have given people a timeframe of when they could expect a response. I could have also added an alternative contact with instructions on how to reach me in an emergency. Or, instructions on what not to do to get my attention while I’m away. Vacation shouldn’t have to feel like exile. In the past, there were times when I was traveling when I would be hyper-conscious about posting photos and content on social media during my trip. But that’s no way to live and it could send a message to employees that it’s taboo to actually enjoy yourself away from work. Creating healthy and respectful boundaries and relationships is crucial and will prevent the feeling that you need to hide or enjoy your vacation in secret. To make sure no emergencies or “fires” sprang up in my absence, I set aside a power hour to check emails and possibly work on a project, task or even this blog post. Whether you respond to the emails is totally up to you, but if it can wait until you return, let it. If someone ignores the boundaries that you’ve set, gently reinforce them by sending them a personalized message reiterating that you are traveling on vacation and will respond to their message(s) once you return and that additional follow-ups won’t be necessary. What tips have you used to set boundaries while you travel? Add them in the comments below.